4 Bdrm Detached Dwellhouse. Ground flr: Living rm/Dining kitch on open plan. Bdrm. Playrm/Study. Utility rm. Garden rm. Shower rm. 1st flr: 3 Bdrms 1 with ensuite. Bathrm (CT band - TBC). 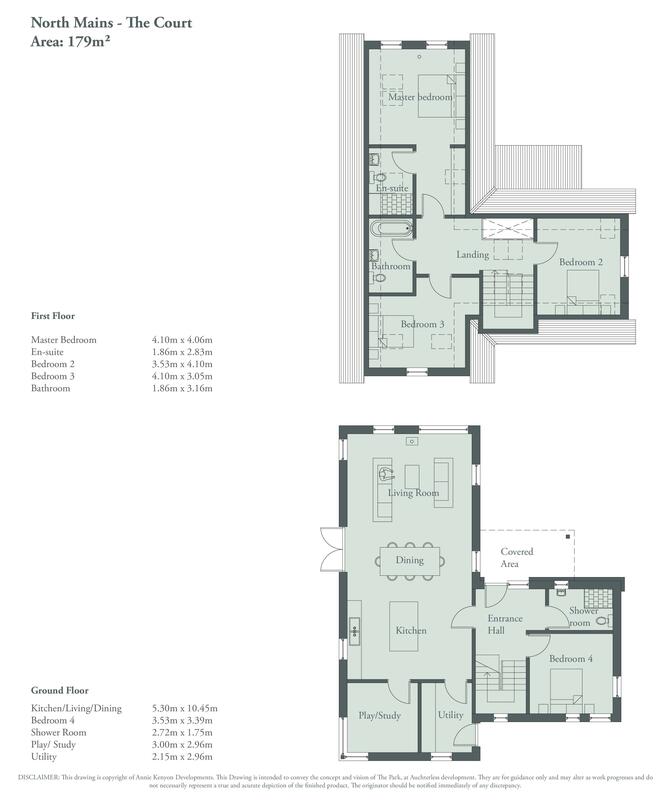 Prices from £390,000 Entry by arr. Viewing Sales Team 01464 254009. We are pleased to offer for sale this four bedroom house for sale. This ak|a designed FOUR BEDROOM highly efficient home is available for sale. 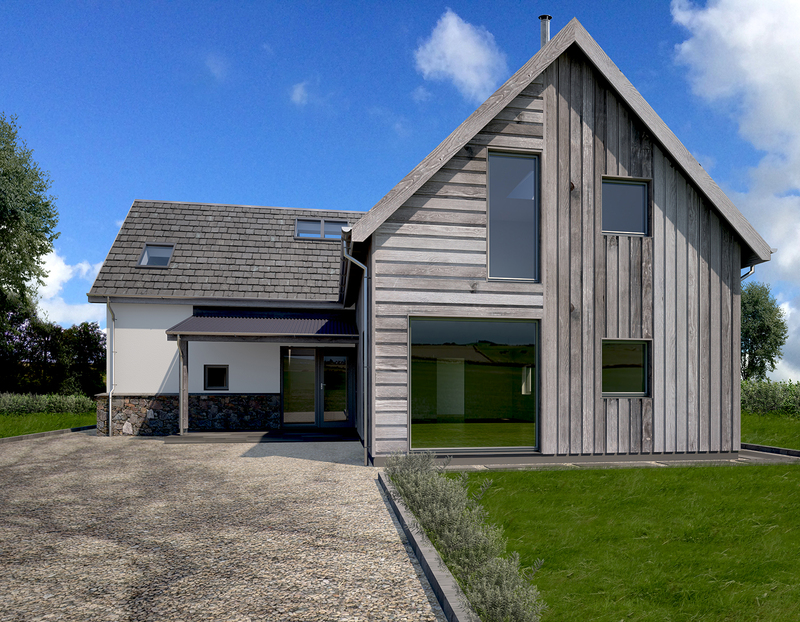 This new build home includes render, natural stone and larch cladding. Features will also include energy efficient double glazing throughout, with high quality insulation resulting in low running costs. High quality oak internal doors, set within white painted frames and finishing’s will provide a sharp and clean impressive look. Luxurious bespoke kitchen and bathrooms will be supplied however early home purchase would enable your own personal choices. All ak/d properties are provided with an independent 10 year warranty. 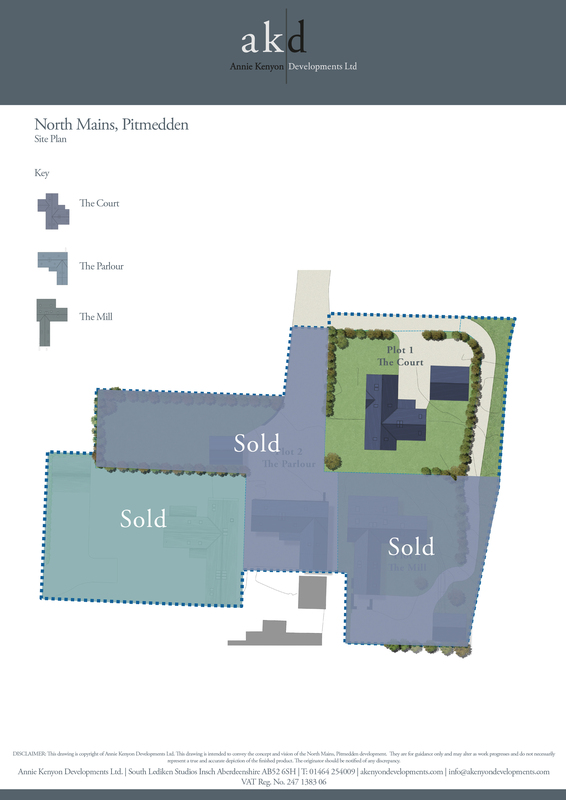 Set within a development of four dwellings incorporating traditional steading buildings, the Court has been designed with light and views in mind.